Is Top Gear Stig in the dump? Why do women sell themselves? 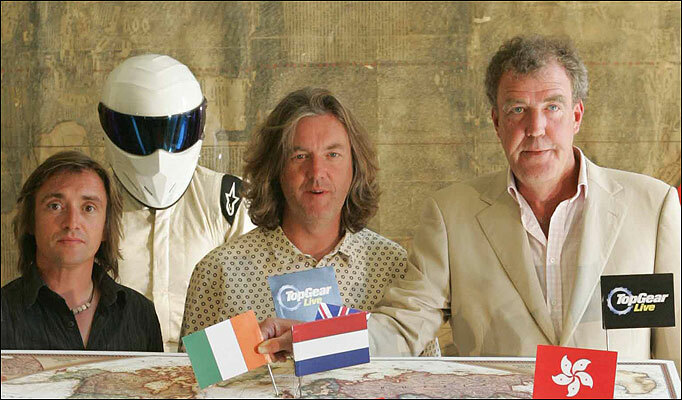 TOP Gear's James May says The Stig will be viciously killed off - then replaced by a new driver. He and his fellow hosts Richard Hammond and Jeremy Clarkson may even give the race ace a BEATING first. And James has vowed to take back the famous white overalls, helmet and gloves. It follows SAS hero Ben Collins' unmasking as The Stig - after a legal victory allowing him to tell all about his role in a book. 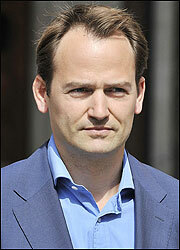 James, 47, said The Stig will be ousted in the same manner as his predecessor. 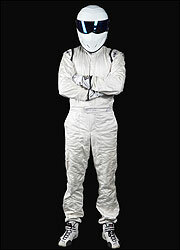 The black Stig - racing driver Perry McCarthy - was last seen by viewers driving off a cliff in 2003. The mop-haired host explained producer Andy Wilman was furious with Ben, 35, for writing a book about his show adventures. He told Absolute Radio's breakfast host Christian O'Connell: "There was black-overalls Stig, who had to be dealt with by Andy. "And then we got white-overalls Stig, who will be dealt with. "We start some filming next week. We've had some thoughts - driving to The Stig's house and nailing his head to the table was one. "And getting our overalls back because they're not his. "And those stupid, poncy shoes he wears. They're ours. And the gloves." Collins was axed from the show on Wednesday after the BBC's failed licence payer-funded High Court battle against HarperCollins, who publish The Man In The White Suit in two weeks. Top Gear returns for its 16th series later this year. Note for IE6 users: If you see the loading wheel for more than a few seconds, please press CTRL + F5 to reload the commenting facility. For the best experience, we would recommend upgrading your internet browser. Please note, the opinions expressed below are those of the writers and do not necessarily reflect those of The Sun. The Sun accepts no responsibility legal or otherwise for the accuracy or content of member comments. Boys are back in town: Excited about new series of The Inbetweeners? BBye Big Bro: What are your top memories from the show? Bore draw: Worried by Liverpool's start to season? You've got some front: Shocked at troops' treatment?